First of all – who in the world does not love this man? I know I’ve said it before, but it bares repeating that Mo is an impressive figure both on and off the field. 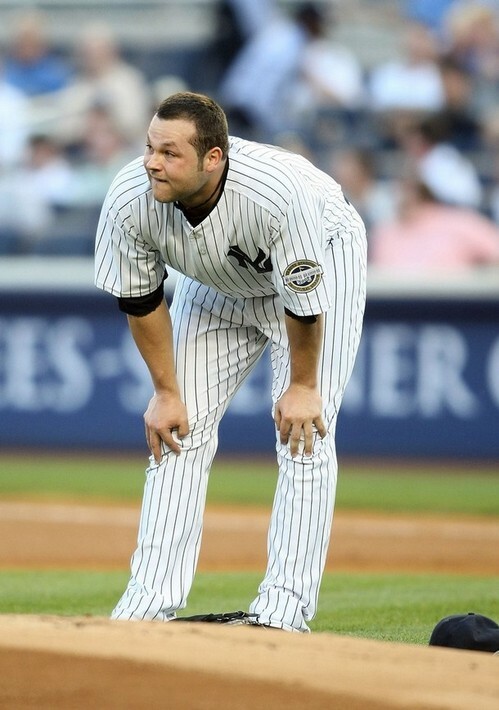 He seemed confused by the fact that the Yankees would have him throw out the first pitch to last night’s game. Nobody else was confused – they all wanted to give him the standing ovation he deserves. But I think I sort of had a delayed reaction to the 500th save and all the hoopla surrounding it. I actually got choked up last night with save no. 501. And not because I’m crazy or anything, but because I thought about watching this team in light of the way my grandfathers watched the team and my mother and father watched the team. They all had those players of mythical status that they could say they were lucky enough to watch play: Joe D., Mantle, Yogi, & Maris (my mom’s fave). 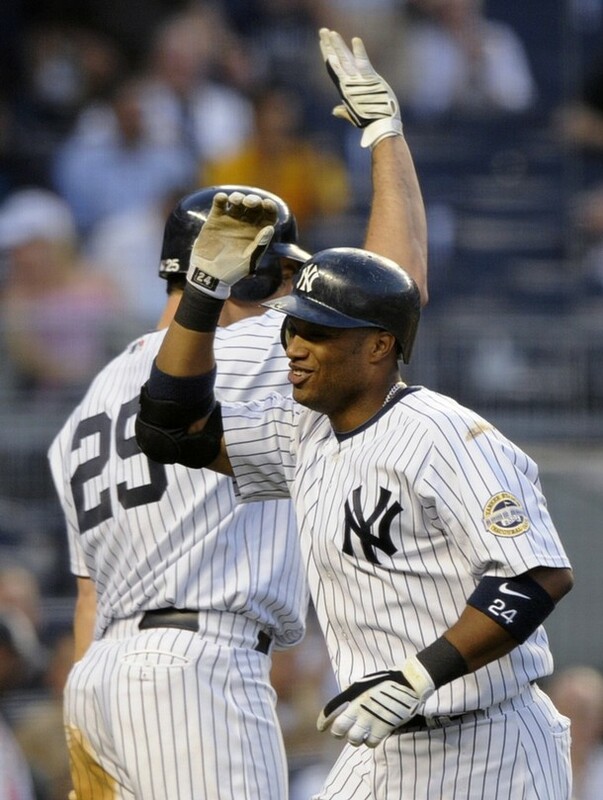 Of the veterans on the current team, Jeter and Mo fill those spots for me. I know things are different now. Players’ lives are de-mystified to the point where we have to separate liking the player from the person. But I’m glad I’ve had the chance to root for two old-school type players like them. I always wonder if my kids (should I have any!) will have the same kind of fan experience. Brian Bruney shaved the catapillar on his upper lip but it didn’t help him any. Also, he apparently went to the Ian Kennedy School of Quote-Giving. 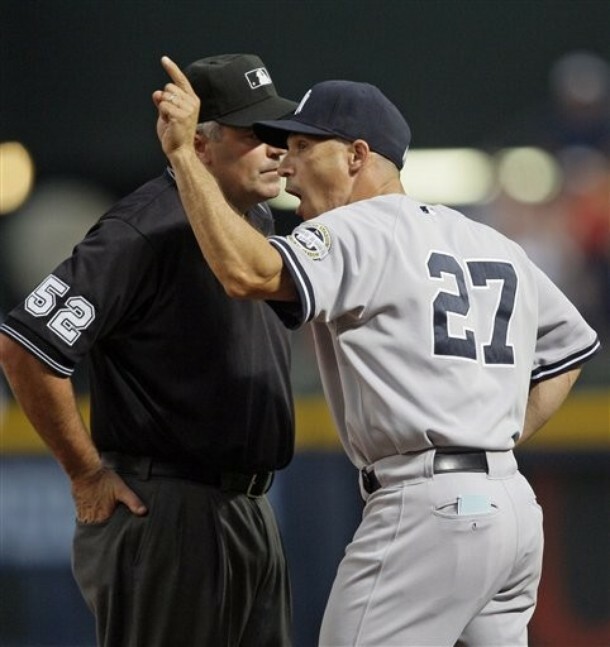 Joe Girardi, what goes on in that crazy little head of yours? Phil Hughes is throwing heat, getting outs. Why not bring him out for the next inning? Why, for the love of god! Related to the item above: Phil Hughes has moved into second place on my baseball boyfriends list, knocking Joba down to fourth. 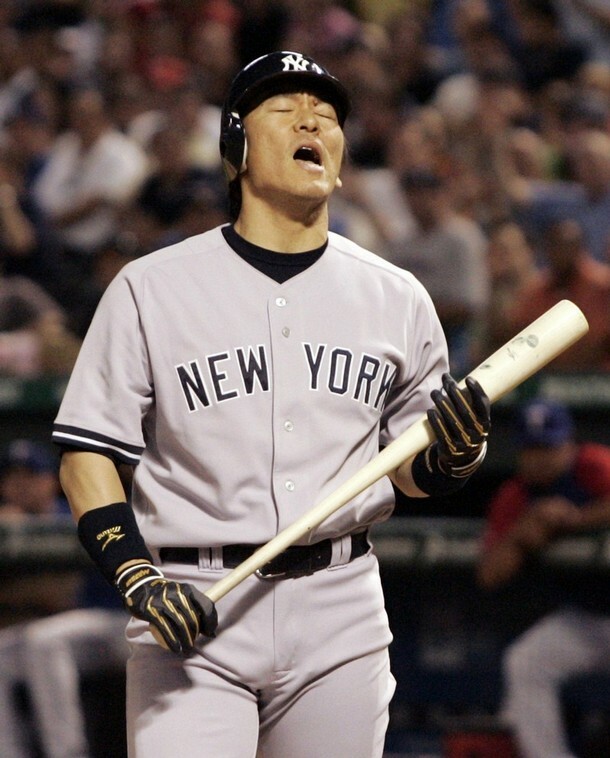 As Pete Abraham noted today, somebody’s got to get the fight back into Joba. Get on that, Dave Eiland. I would hate to have to drop him another couple of spots on my totally ridiculous list. 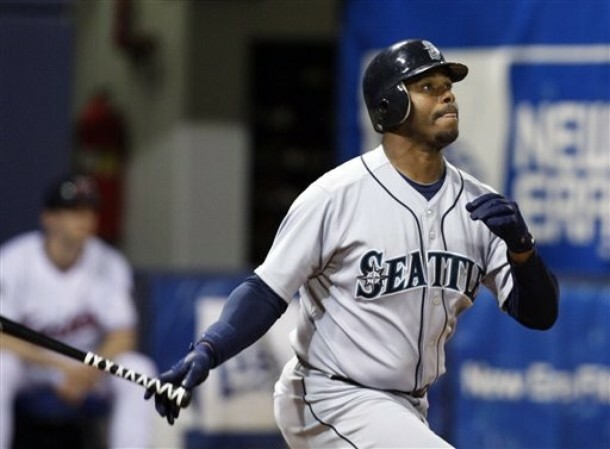 Ken Griffey Jr. had a sad look on his face last night. He’s not hitting well, but even worse, he looks like the reality might be setting in that he’s not the player he used to be. I feel for Junior. He lost so much time with injuries, and now his age has become a factor. 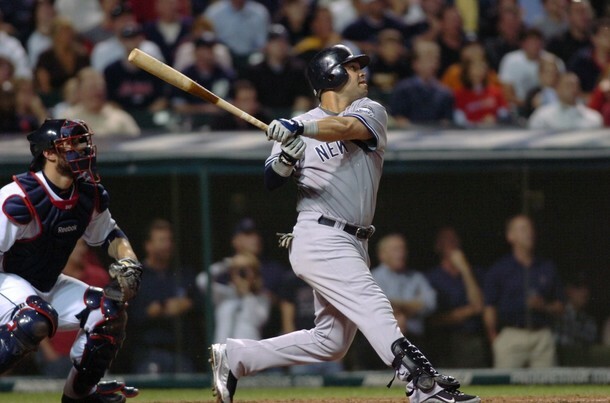 On the upside, he’s a first-ballot Hall of Famer and the first person mentioned whenever someone asks who has/had the sweetest swing in baseball. Plus – great smile. Oh, Nick Markakis, you make me love you more each day. Although I don’t know what that country at-bat music is all about. 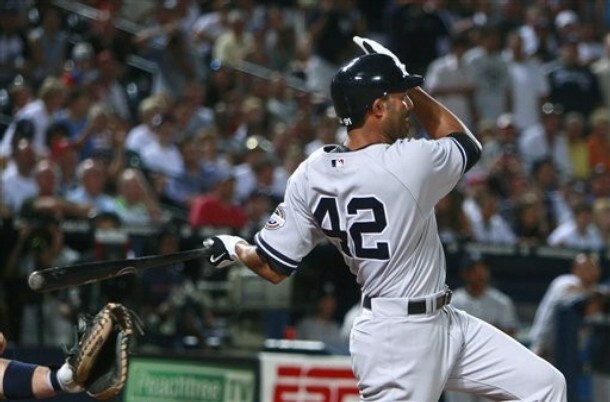 Written by Kristin Dumont 2 Comments Posted in Dailies	Tagged with Brian Bruney, Derek Jeter, Joba Chamberlain, Ken Griffey Jr., Mariano Rivera, Nick Markakis, Phil Hughes, Yankee greats. That there is Joba Chamberlain going horizontal to catch a bunt that was popped into the air. I swear right before this happened I said to my t.v. : “It would be awesome if he bunted it into the air.” With two men on base and no outs, I wanted outs without moving anybody over. Joba got two. After he caught the ball, he threw to second to catch the runner there off base. 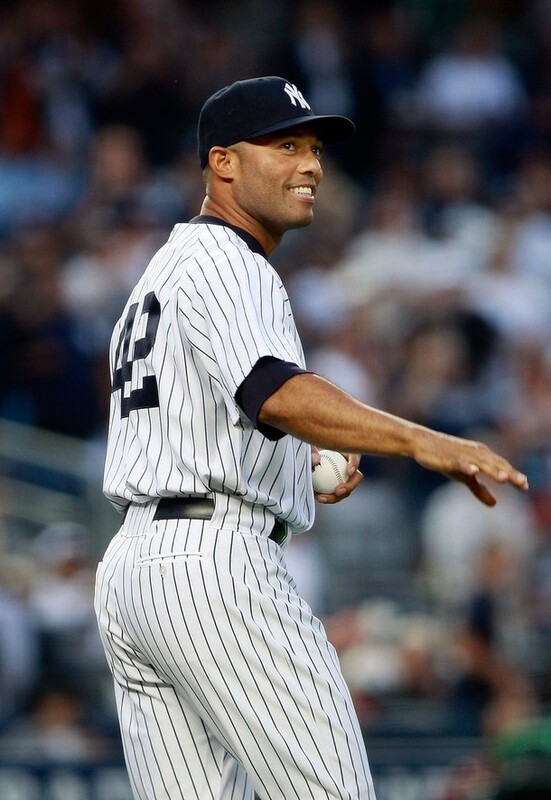 I wish I could find a picture of CC and Andy Pettitte laughing their butts off at Joba’s ‘athletic’ play. That was priceless. 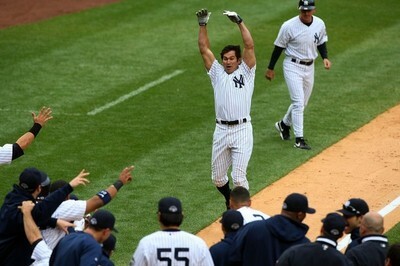 Also priceless for me was watching Nick Swisher come out of his slump a bit. His two-run double just missed being a grand slam. I did think I was going to lose my mind, though, in the sixth when the bases were loaded with nobody out and the Yankees couldn’t score. No matter, though. The boys came through in the end, and Joba went eight strong innings to make it stand up. And he was still throwing 95 in the eighth. I love it when a plan comes together. Nick, honey, please stop making it so easy for my Red Sox lovin’ husband to make fun. Thanks. 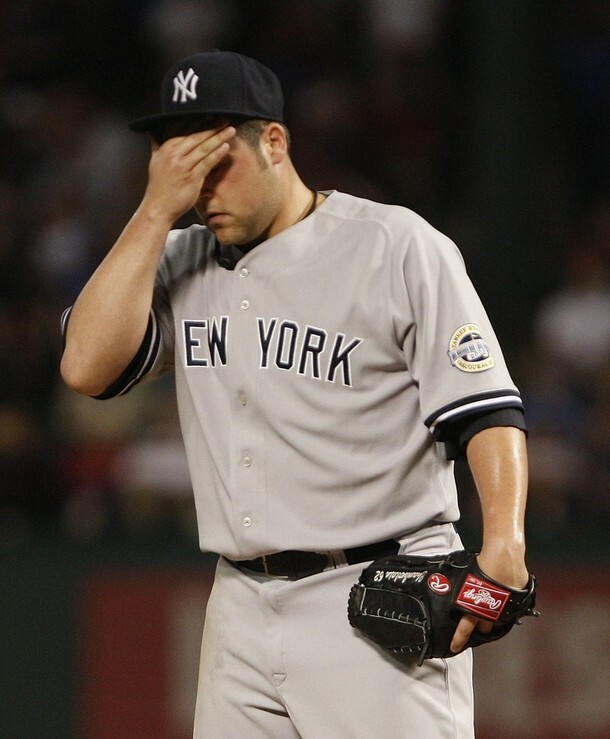 The other night, after a coma-inducing rain delay, Joba Chamberlain was only able to go four innings. I believe he left with the game tied 3-3. Perfect spot for Chien-Ming Wang to come in and get some work, no? No. 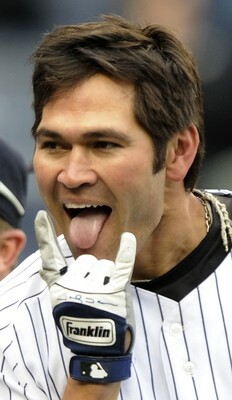 Instead we got Aceves, who has been good but had pitched a wholly unnecessary inning in the previous game. Things did not end well. Pete Abraham covered this the other day, questioning why the Yankees would leave a pitcher they once considered an “ace” twisting in the wind. So, last night, when they brought Wang into an 8-2 game, I threw my hands (and the remote) into the air as if to say, WTF? He did well, considering he was handed a mop. No runs, no hits, two strikeouts, and he threw 18 of his 26 pitches for strikes. Does anyone else feel that he would not be in bullpen limbo if he was more of a squeaky wheel, so to speak? Forget the Joba debate being ridiculous, this is idiotic. If he’s shown in rehab, minor league stints, and bullpen sessions that he’s much stronger now, why not put him back in the rotation. I don’t think that Phil Hughes deserves to go back to Scranton, but I certainly think that Wang, with his seniority and his overall success, should be given preference. I love Phil, I really do. But I want to know why it’s okay for Wang to sit in the pen and it’s not okay for Phil. Someone, please explain. Turns out that, even though Joba was hit in the knee with a line drive, the x-rays were negative and he only has a bruise. The way this team handles the injury information, though, you can never be sure. Joba, stop scaring the **** out of me! The real problem – or so I thought – was that he had to leave in the first inning. That’s a long stretch of game for the bullpen to cover. But Aceves was good, Albaladejo was okay, and the Yankees had built up a lead before Veras could get in there and ruin it completely. When Robbie’s happy, everybody’s happy.